Check out this fabulous kit! 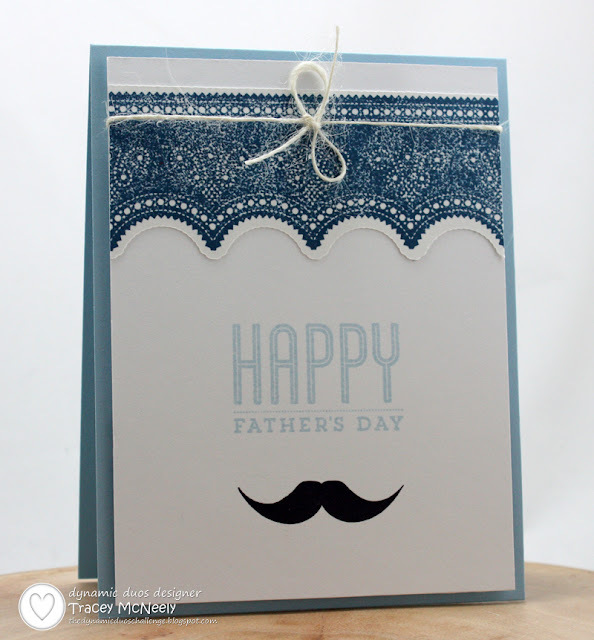 Yes it's time for the May edition of the 12 Kits of Holidays! 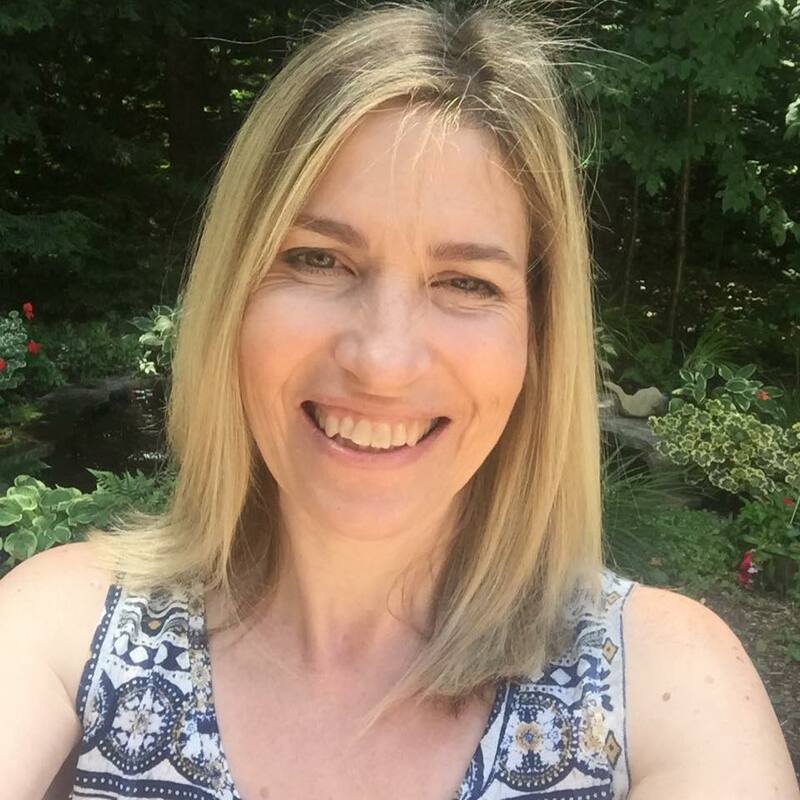 This month our hostess is Marybeth from Marybeth's Time for Paper. We are taking a break from Christmas this month and her gorgeous kit was bursting with goodies to make projects that say thank you, get well and thinking of you. I still have oodles of supplies left, possible a bit of hoarding going on here. Of course holding back on using all of the supplies it is always a good idea. Then after we all post our projects you have some goodies left over for CASE'ing what the other's have done. 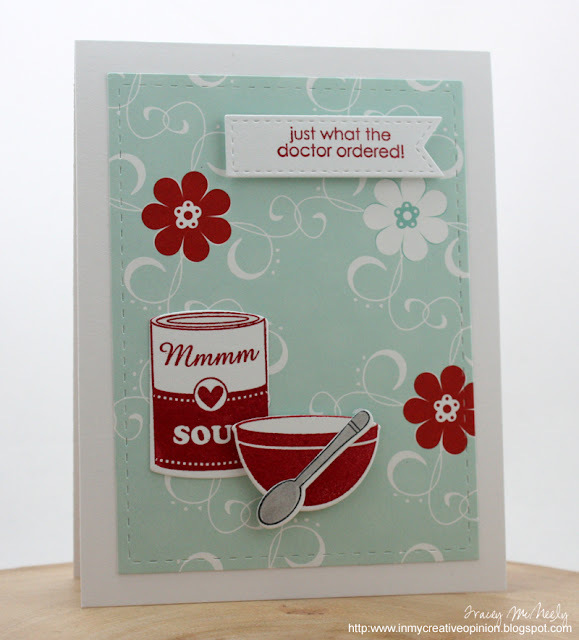 I fell in love with this background paper the moment I saw it, works perfectly with the soup. Lil' Inkers stitched mats always give cads a little omph, I think that this card is my favourite! 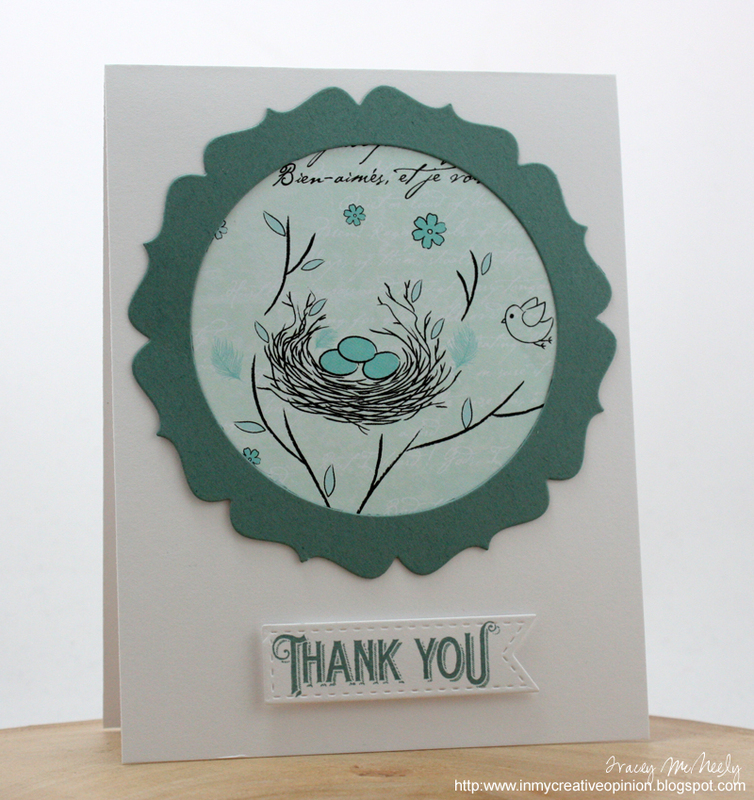 Next up is this sweet birdie paper that I cut in a circle to fit behind the fabulous Ocean Tides frame. 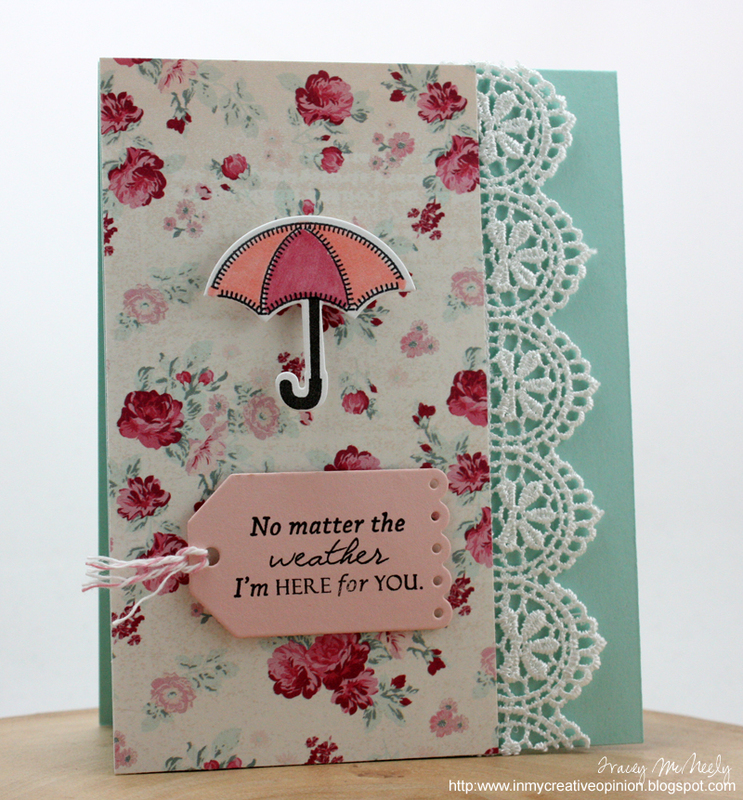 This one is a little more shabby chic that my usual style, but who can resist beautiful lace! Now this one is completely CAS, die cut frame and I trimmed the image to fit behind. 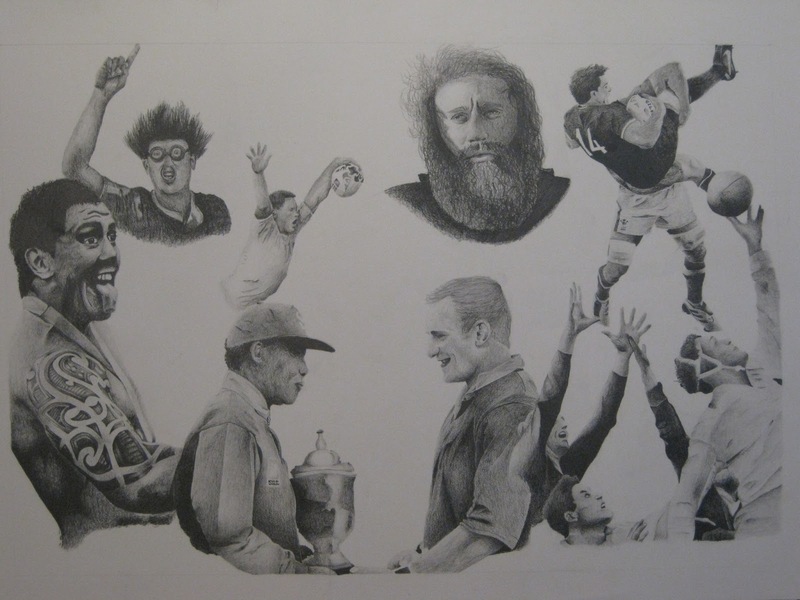 We hope that you take the time to go have a look at what the rest of the group has to inspire you. Have a great day and we will see you next month for the 12 Kits of Holidays when Sharron is our April hostess. I am also submitting some of these cards to the Simon Says Anythings Goes Challenge. Stamps: WPlus 9 Pretty Umbrella. Art Impressions : Whoots. Lil Inkers :Sugar Kissed Cottage.Papertrey Ink: Comfort Food .Serendipity Stamps : Thanks, Solid shapes Butterfly,Sun Garden and Butterfly Garden. Worth Remembering White Polka Dot,Dancing Daisies. Embellishments : In Bloom Beads, Sequins -Hobby Lobby. Buttons : Papertrey Ink. Trying to get back in the groove after what has been a very busy couple of weeks. Sharing a card I made for this weeks CAS-ual Fridays challenge using my new Fresh Squeezed Stamps The Envelope Please. The challenge was to make a project using red, white and blue. If any of you know my circumstances, you know who I am sending this to. 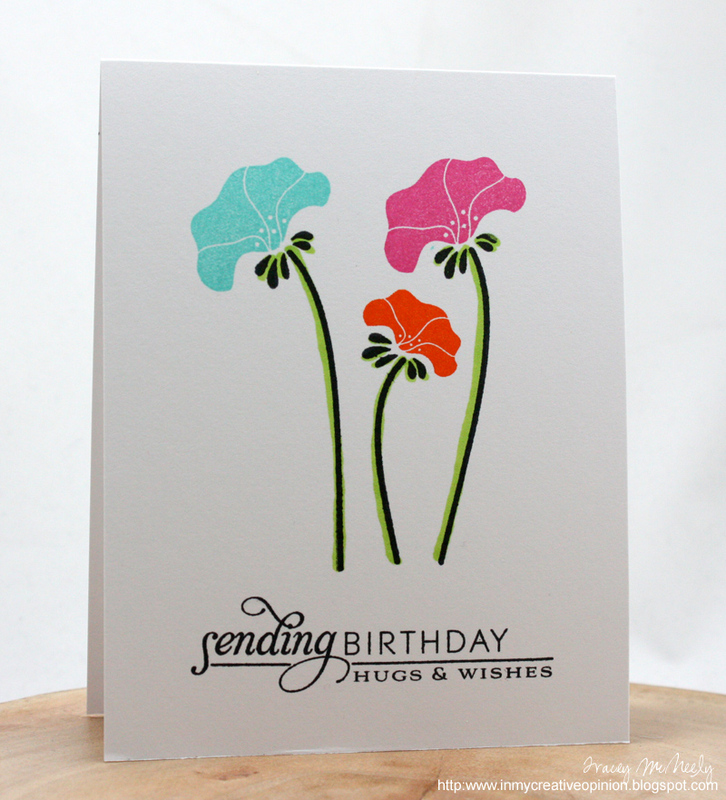 I have a new Facebook page for In My Creative Opinion where I will be posting my cards. I am also submitting this card to the Simon Says Anythings Goes Challenge. 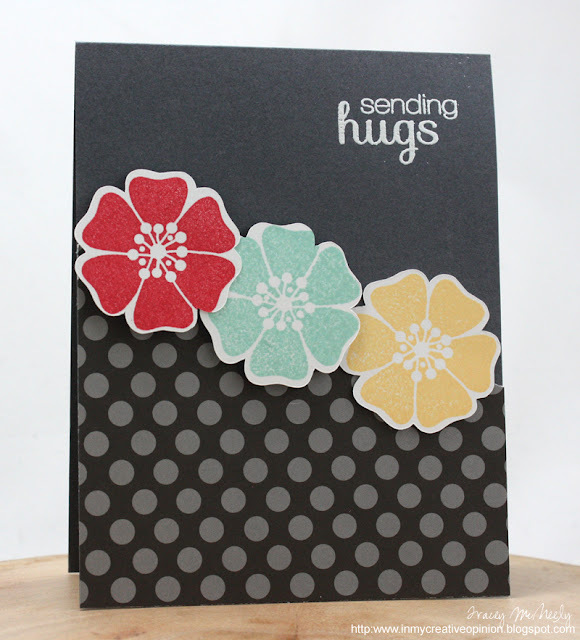 I have had the pleasure of getting to know you virtually through our common love of cardmaking and blogging but also by both being on the Design Team at CASology! Even better we share the same big 'city' and I am so looking forward to meeting up with you for lunch at Yorkdale this summer. Sweet Darnell has organized this birthday treat for you today and has asked that we each CASE one of your fantastic cards for you. Well how do you CASE an Ardyth card, how do you improve or CASE perfection. You have such a signature style my friend so I have chosen a card that I love of yours to CASE and I have done this by following your CAS design and your fun Copic technique. I hope that today is a wonderful day, and I hope that you enjoy all of the cards, love and friendship you are receiving virtually too! 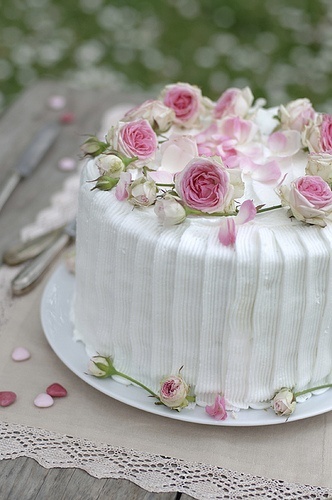 Hugs and enjoy your cake! 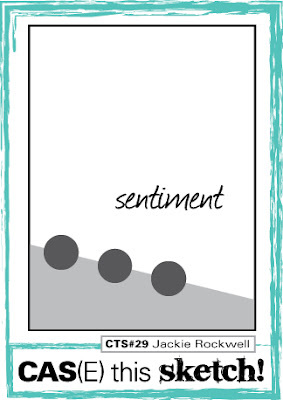 and here is my card to you! 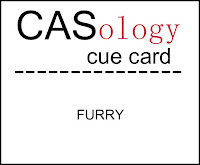 Time for this week's CASology Cue Card! Playing around with my Silhouette and I created dies for my Little Bear stamp set by Neat and Tangled. 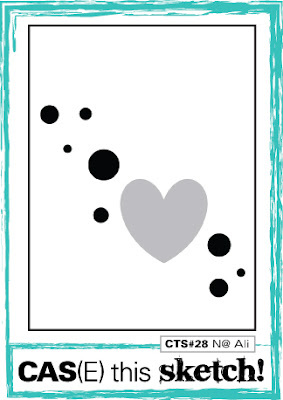 I love the look of stamping black outline images onto patterned paper die cuts. Stamping on patterned paper adds interest to your card while still keeping it CAS. I can't wait to see what FURRY means to you! 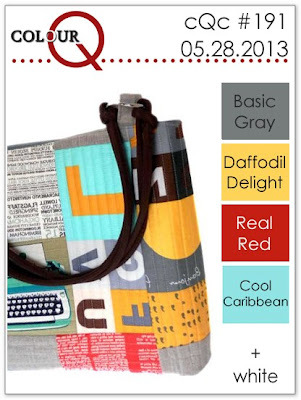 Happy Tuesday friends, it is time for this week's new colourQ palette. Don't you just love this purse? Arielle you are are finding the best purses. Had some fun with these colours and broke out another, new to me, Verve set called Good Friends. 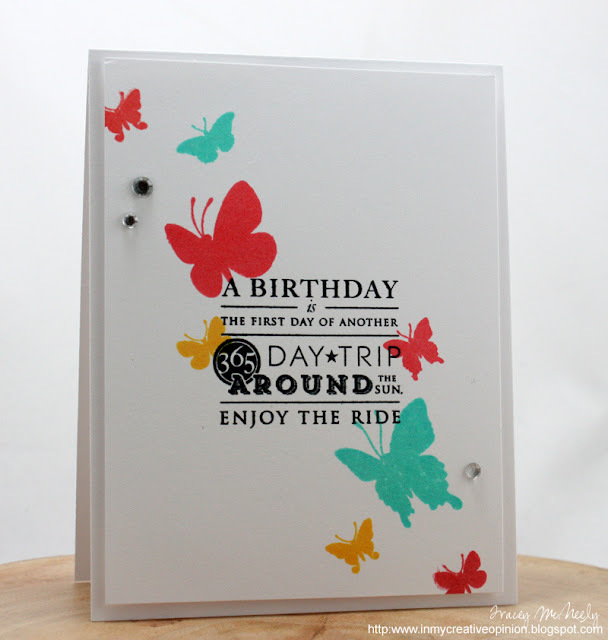 I also played with my Silhouette and created die cuts for my new stamps. I just wish I was better at lining them up when stamping. I used the sketch from this week's CAS(E) this Sketch too, I never tire of these sketches. 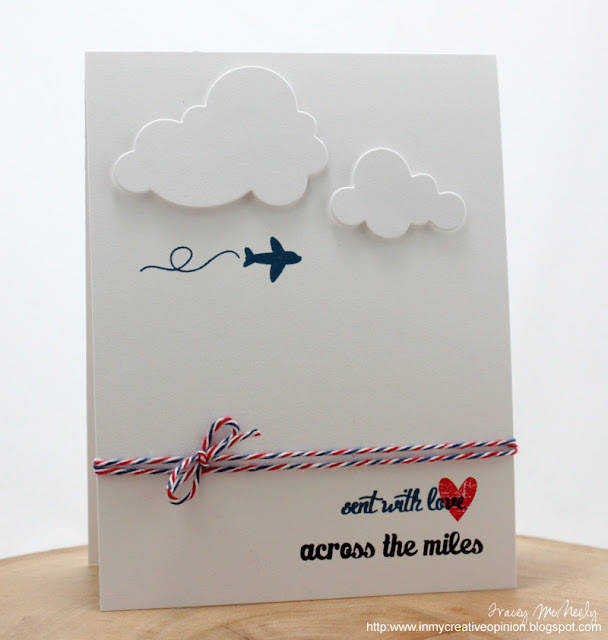 No card to share today, it has been quiet on my blog this week. Although I love to play with paper sometimes life is busy and it definitely takes priority. As high school wraps up for my son, now an adult I am taking in every single moment. Ben has made the decision to attend Laurentian University this fall for Architecture. This is what he has wanted to be since he was old enough to understand what it meant. Laurentian Univeristy is in Sudbury, Ontario. 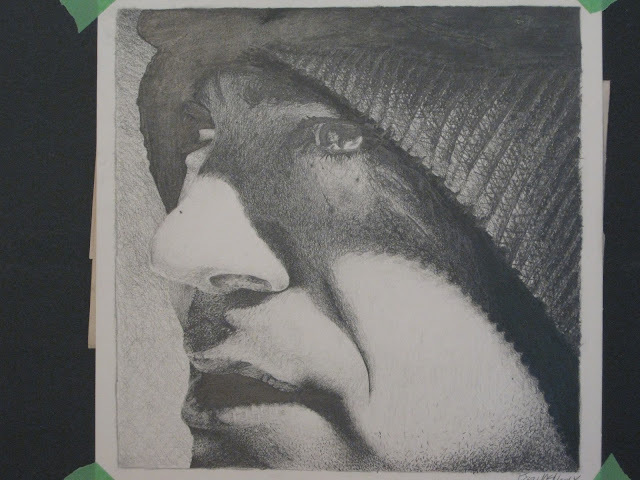 I though today I would share some photos of Ben's prom and a few photos of artwork from his portfolio. The kid can create magic with just a pencil. These kids have been friends since they were young, so lovely to see them all dressed up like adults! This one is getting framed. 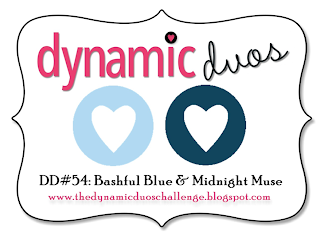 Happy Saturday and time for this week's Dynamic Duos Challenge and a new duo. Time seems to be taking off again, time to get going on Father's Day cards. 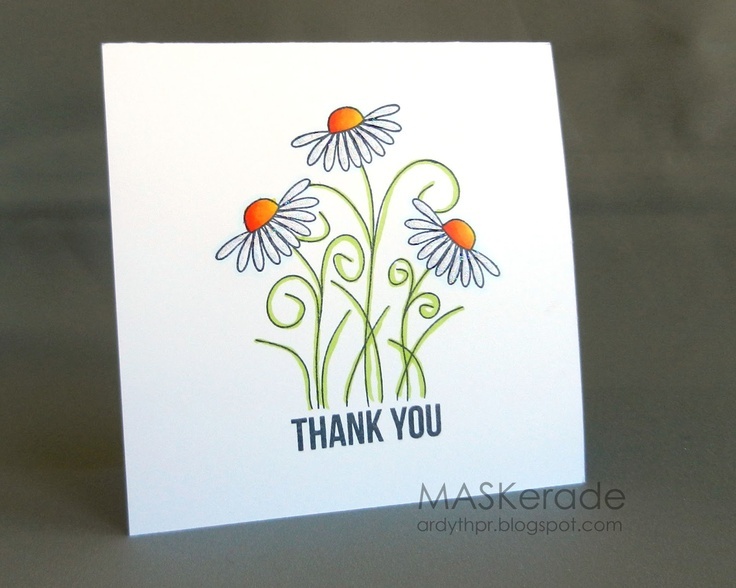 I used new Waltzingmouse stamps for my card this week. Since my hubby is coming home on Sunday for a week, this one might be going back with him in his suitcase. 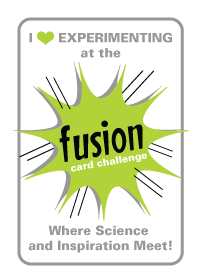 Squeaking in a card for this week's Fusion Card Challenge. I have to say that I really struggled this week with the inspiration. 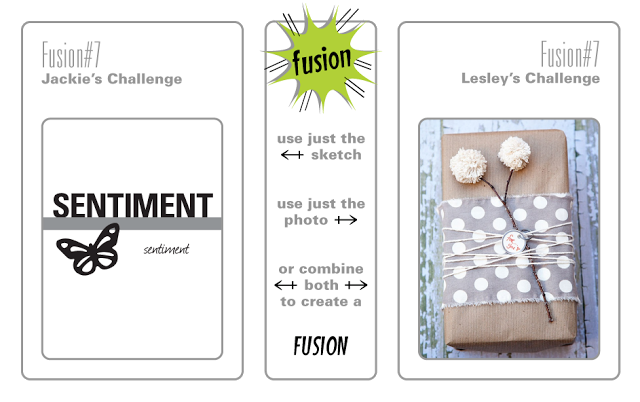 Loved the photo and the sketch but the fusion and still making it my own--wasn't working for me. I persevered and came up with a card that I will be giving to my niece who just got engaged this past weekend at the cottage! So excited for this fabulous couple! All supplies are from Papertrey Ink unless otherwise noted. A last minute submission for this week's CAS(E) this Sketch challenge. I had it all set up that I was going to combine this week's colourQ with this sketch, but I got in the zone well creating my card for colourQ and my card ended up nothing like the sketch. LOL So a good reason to create another card. I used my Hero Arts Shadow Inks and the coverage is amazing. Second post for today, this one is for this week's CASology Cue Card! 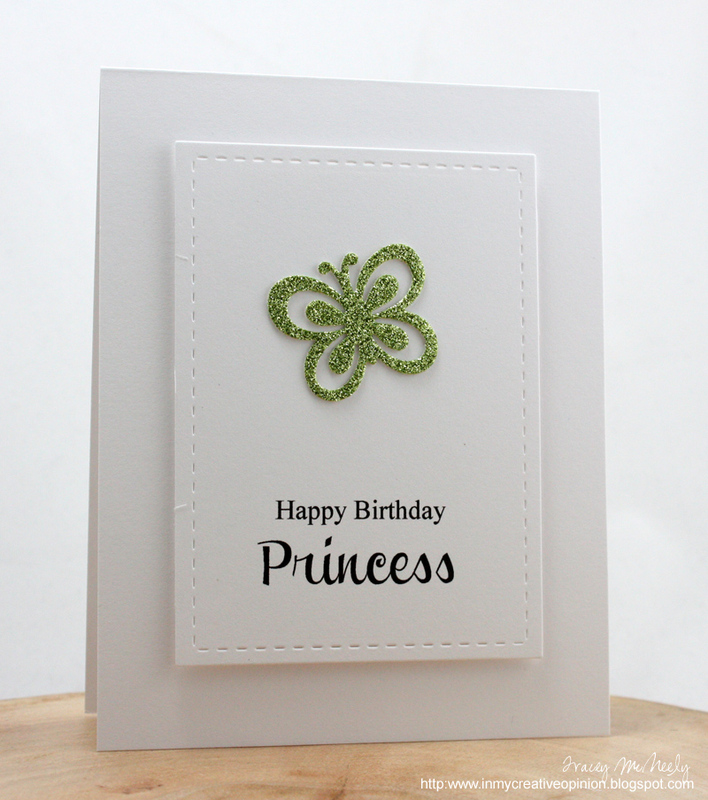 I put together a really clean & simple card this week with a stitched mat, a computer generated sentiment and a fabric glittered butterfly. This one might go to my princess who will be 16 in July!! Yikes! I can't wait to see what ROYAL means to you!